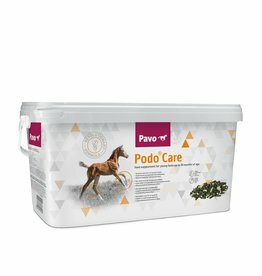 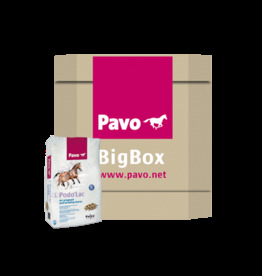 Pavo Podo®Grow is the top feed for the optimum development of young horses, from weaning to three years. 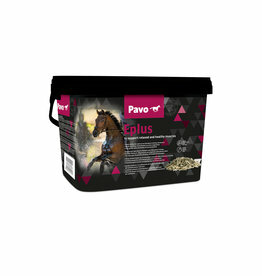 Pavo EnergyControl is a top quality cubed feed for performance horses in all disciplines. Pavo AllSports does not only supports your horse through training but also aids in keeping your horse in a healthy condition. 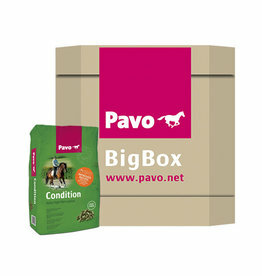 Pavo Condition is the ideal high-fibre maintenance pellet for horses and ponies in light work. A non-heating performance muesli for horses requiring strength, power and endurance without becoming over excitable. 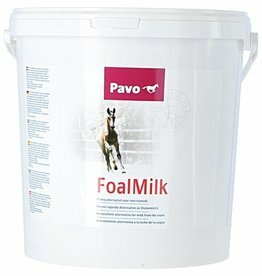 This milk contains a high content of antibodies that protects the foal against infection in the first months. 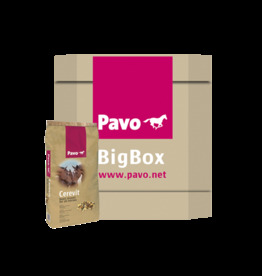 Pavo Vital is a daily balancer: a pellet with all the vitamins and minerals that your horse needs, made from 100% natural raw materials and no unnecessary additives. 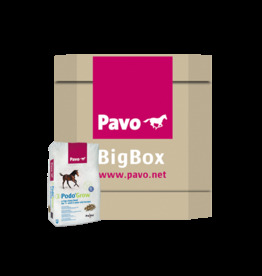 During its first months of life, a foal needs a lot of building blocks for a healthy bone development. 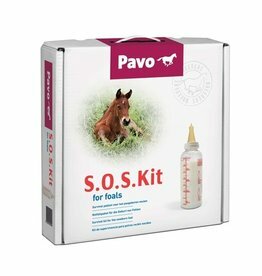 Is your horse easily spooked and nervous? 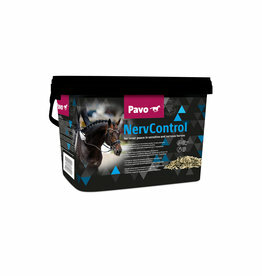 Pavo NervControl is a doping-free product that stimulates calmness in a natural way. 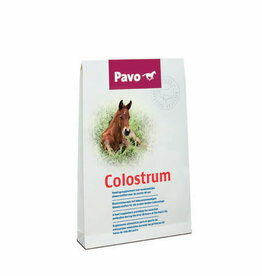 Horses that are prone to acidification of the muscles, or even tying-up syndrome, may benefit from the addition of nutrients to their diet that enhance the breakdown and excretion of waste products from the cells. 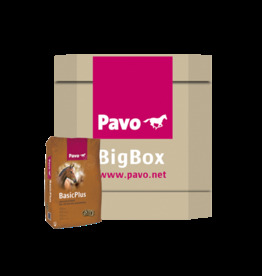 Pavo MuscleBuild contains whey powder, a substance well known in the bodybuilders’ community. 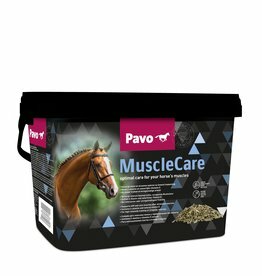 Whey powder contains a number of amino acids that are vital for muscle build-up. 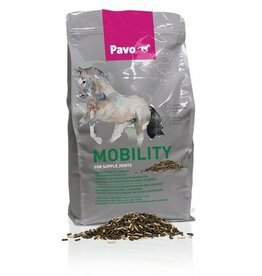 Does your horse have problems with moulting or does its coat look dull? 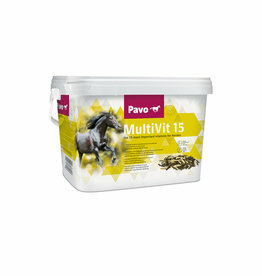 Then Pavo MultiVit15 offers the right support. 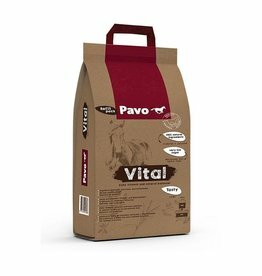 The right nutrients can have a positive effect on the condition of the cartilage, synovial fluid and the joint capsule and ligaments that keep the joint together. 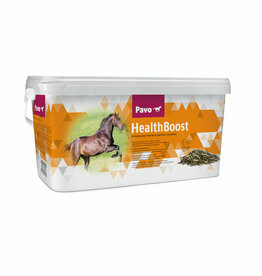 Pavo HealthBoost contains a wide range of vitamins, antioxidants and prebiotics, making it a real boost for your horse. 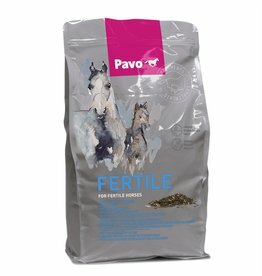 Pavo Fertile provides all the support needed to improve a mare’s fertility. 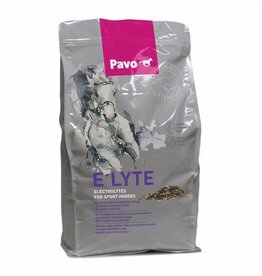 Pavo E’lyte is an electrolyte supplement and contains all necessary body minerals.